The province is counting on $200 million from the federal government. Boosting revenue, lowering costs and getting help from Ottawa is how a Newfoundland and Labrador Liberal government in full campaign mode says it plans to mitigate electricity rates once the Muskrat Falls hydroelectric megaproject comes online. 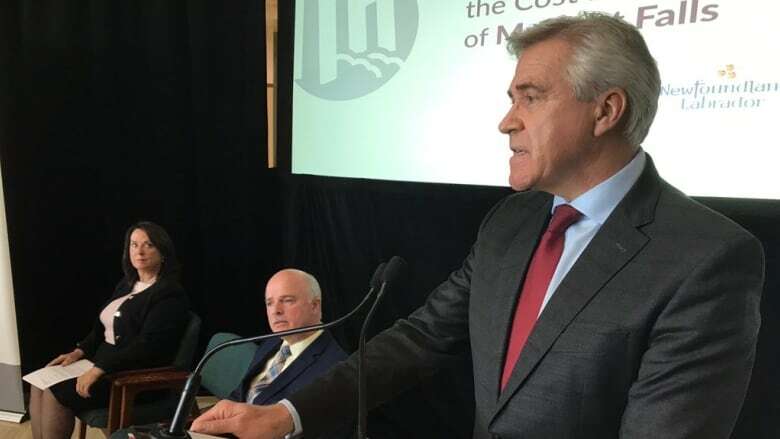 "Just image how much better off we would be today if we had access to that revenue," Premier Dwight Ball said of the hundreds of millions that will be needed to pay the Muskrat mortgage once payments begin in 2021. The Liberal plan to stabilize rates at 13.5 cents per kilowatt hour is counting on an array of opportunities to manage what Ball described as "one of the greatest challenges in our province's history," with more than $725 million in annual funding requirements to be accounted for. A lot of that money will come from taxpayers, with government committing $200 million annually in what's called a Nalcor dividend, with another $175 million expected to be saved in fuel costs at the thermal generating station in Holyrood. NL Hydro expects to generate $49 million annually in the sale of surplus energy, and $15 million in savings is expected to be realized through the electrification of public buildings that are currently heated by oil. And government is going all-in on data centres, with hopes of generating up to $35 million annually by attracting these electricity-guzzling operations to Churchill Falls, Muskrat Falls and Soldiers Pond. "There are requests for about 300 MW of power from data centres in our province. We already know there's value there," said Ball. The plan was not popular with members of the other parties, including NDP MHA Lorraine Michael. After the press conference, she stood during Question Period and directed a series of pointed questions at Ball. "Only today on the eve of another election are they offering a hastily concocted grab-bag of ideas on how to deal with power rate mitigation. I ask the premier, knowing as we all did, this was going to be a monumental problem, why did he wait till the last minute to pretend he had a plan?" Michael called the plan a "dog and pony show," and said there was no detail to show how government arrived at those numbers. Ball denied it, saying their numbers were clear — a response Michael shook her head at. "The member opposite can shake her head all she wants because they have no plan," Ball said. "We have put our plan in place. Where is yours?" PC leader Ches Crosbie also levied his complaints against the plan after question period on Monday. His plan — the Crosbie Hydro Energy Action Plan, or CHEAP — set a minimum rate of 14.67 cents per kilowatt hour, which is the anticipated rate before Muskrat Falls begins producing power. Ball's plan has gone under it by nearly a full cent. "He's not subsidizing Muskrat anymore, he's subsidizing rates willy-nilly, and that way lies the path to bankruptcy," Crosbie said. 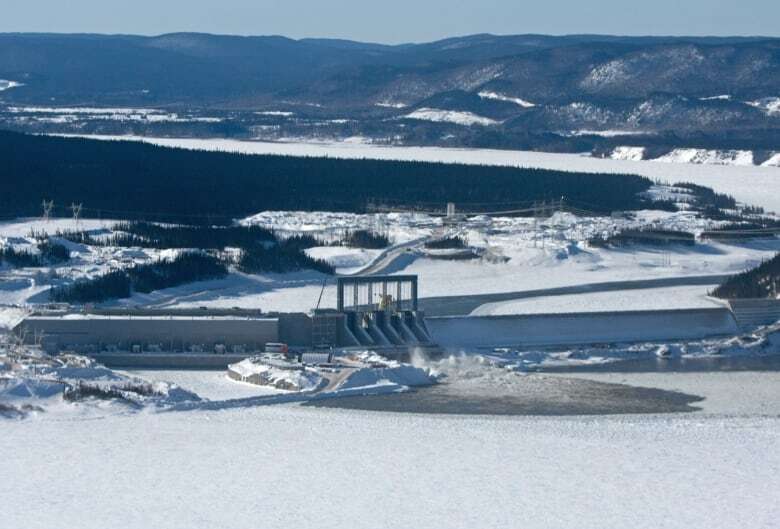 The provincial consumer advocate said the spiralling cost of Muskrat Falls can't be borne by the ratepayers currently in the system, and rising rates would cause some of those to heat their homes in other ways, such as oil. "The system could effectively collapse," said Dennis Browne, adding that that's why rate mitigation is important. "It's really a financial debacle of historic proportions," Dennis Browne told CBC's On The Go. But he said $200 million a year is "not a lot" when compared with the amount put in to the project, much of which is equity. "Liberty [Consulting] just did an initial report to the board and indicated that there's some headroom there in the financial means to either acquire more debt or to restructure debt to come up with $200 million or more, so I don't think that's going to be a problem." The Crown corporation that brought us Muskrat Falls, Nalcor Energy, will also shoulder some of the burden under Ball's plan. It calls for Nalcor to shave $20 million from its operations, most of which will come in the form of savings through salaries and benefits. Nalcor, for example, will be required to align its salaries with similar positions in the public service, said Natural Resources Minister Siobhan Coady. "I don't think there will be cuts coming to salaries, but as you transition from having construction into operations, we'll make sure that the positions are aligned with government positions," she said. Savings are also expected in the operation and maintenance of Muskrat, and through reducing diesel consumption in off-grid communities by switching to other forms of electricity such as wind and batteries. That still leaves a $200-million gap that might come in the form of a lifeline from the federal government, with talks under way to restructure the financing arrangement for Muskrat. "Whatever the restructuring turns out to be, we're very confident that the $200 million is there," said Ball. "I believe that once we get under the hood we're going to be able to find an awful lot that we're going to be able to do," added St. John's South-Mount Pearl MP Seamus O'Regan, who is Newfoundland and Labrador's representative in the federal cabinet. Ball said government wants to protect ratepayers from the "unacceptable cost of living increases" due to ballooning costs of Muskrat Falls, but there is no one single solution to address it. The province will ask Nalcor to shave $20M from its yearly budget. The Liberals promised power rates will not exceed 13.5 cents per kilowatt-hour when Muskrat reaches commercial operations in 2021. Without mitigation, power rates are forecast to be around 22.9 cents. The current average rate in Newfoundland is about 12 cents. When the project was sanctioned by former PC premier Kathy Dunderdale in late 2012, the rates were forecast to reach 15.1 cents. But since then, all-in costs for Muskrat have soared from $7.4 billion to $12.7 billion. oady said it took government a "considerable amount of effort" to find a way to "protect" ratepayers from the prospect of doubled electricity rates once Muskrat Falls comes online. "It is challenging, but it is possible and we are doing just that." Government will Bring Nalcor into “treasury board guidelines by 2021,” says Siobhan Coady, suggesting salaries and benefits at the corporation could get an overhaul. The project is now 96 per cent complete, she said, with first power now expected by late 2019. Federal Finance Minister Bill Morneau was at Confederation Building for about two hours earlier this month to discuss post-Muskrat Falls power rates, although neither would share specifics of what they spoke about. Government made the announcement at Confederation Building on Monday morning, a day before the Liberals will be handing down their fourth budget, and with an election call widely expected in the coming days.